Inks for Inkjet. Continued Ink Development Drives Growth for Production Inkjet. The adoption of production inkjet continues to grow. This is due to many factors, including improved media options and image quality. The decision to use one type of ink over the other ultimately comes down to the customer and is based on regularly run applications. Above: Canon’s Oce DigiDot technology uses drop-on-demand inkjet printheads to jet drops of ink only when and where needed. The three primary formulations of inkjet inks are solvent-based, water-based, and UV-curable. Water-based, which includes both dye and pigment variations, are the most common in document-based production inkjet environments. David Murphy, marketing director, HP PageWide Industrial division, HP Inc., points out that with solvent-based inks, it is possible to print a variety of substrates beyond paper. However, there are environmental and operational challenges for the production environment, such as stringent ventilation requirements. Water-based inks—both dye and pigment—offer greater safety and environmental benefits. UV ink usage is common for signage and display, labels and packaging, and numerous commercial and publishing applications. As previously stated, dye and pigment inks are the two most popular options for production printing with inkjet. “The type of ink and paper determines how much pop in print quality. This translates into color vibrancy and robustness of the completed application. It is important to note that each type of ink prints differently and will do so on different papers,” says Lucy Perez-Sierra, senior marketing specialist, media, Canon Solutions America. Dye ink is typically more cost efficient than pigment ink, but also tends to offer less optical density and therefore, less bright and dense colors. Mark Schlimme, VP of marketing, Screen Americas, says dye inks are most suitable for transactional printing. Perez-Sierra adds that a pigment is an insoluble colorant in the carrier liquid, but is dispersed or suspended in the form of small particles. “Pigment is similar to paint. With pigment inks, paper acts as a filter to capture particles and hold them in the paper fibers.” Pigment inks tend to sit higher on top of the paper and are more light and fade resistant. Pigment inks likely offer more colorant, but also chemistry that helps with drying and the prevention of smearing, shares Schlimme. “Both dye and pigment inks are suitable for uncoated stocks, but require treated or primed coated stocks, either at the mill, or prior to printing, to promote adhesion,” says Schlimme. Ed Pierce, product marketing manager, Fujifilm North America Corporation, Graphic Systems Division, says in his experience, pigment inks are more widely preferred due to the depth and color richness. A pigment-based ink can also deliver durability when considering environment exposure, among other factors. Ink sets used in production inkjet devices are continuously under development. Inkjet image quality has improved and the work that it is able to take from analog has grown. Variable data printing provides many advantages, so when inks can perform with offset level or near offset capabilities, inkjet presses really start chipping away at offset volumes. “People realize this, so as a result we’re seeing a major push towards better adhesion, greater substrate versatility, better color matching, and higher image quality,” shares Mike Herold, director of inkjet solutions, commercial and industrial printing business group, Ricoh Production Inkjet Inks. Enormous potential remains for inkjet technology to advance, offering the ability to print jobs that today are only run on offset. 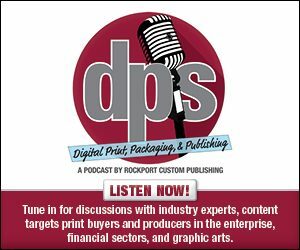 “For the analog to digital transformation to accelerate, print providers expect and demand continued improvements in inkjet image quality, drying time in heavy coverage, media addressability, and overall consistency,” says Murphy. Expanding the breadth of applications production inkjet can address is the main driver in the advancement of inks. “As offset quality is achieved, the commercial print market further benefits from the cost of use and other efficiencies a digital-only production inkjet platform delivers. Commercial printers are looking to this technology not only to improve the cost structure for short-run work and the volume of reorders short-run work typically generates, but to expand their current book of business to win work previously beyond reach due to the cost or achievable quality and even reach into growing segments such as short-run folding carton work,” offers Pierce. Inkjet inks continue to evolve to support more media options, reduce dry time, and improve quality. Production inkjet vendors tend to provide their own inks rather than work with third-party suppliers. This is due to the complex relationship between the printhead that jets the ink and the ink itself. “Even though the process of inkjet printing is relatively simple, the engineering chemistry, physics, and other science that goes into effective inkjet printing can be quite complex. If the ink is not precisely tuned for the printhead that will jet it, there can be significant problems with print quality, maintenance, printhead life, and other aspects of printing,” says Herold. Here leading developers of production inkjet equipment share the qualities that define their ink. Canon offers a variety of ink options for its inkjet presses. Its new Océ ProStream Series utilizes a pigment-based polymer ink with Océ ColorGrip. This combination produces offset-like quality at 1,200×1,200 dpi. The Océ ColorStream prints with both pigment and dye inks. The Océ VarioPrint i-Series utilizes Canon’s iQuarius Performance Ink Set, which includes its own ColorGrip. The iQuarius ink for the Océ VarioPrint i-Series represents the latest advancements in inkjet inks. The inks are specially designed for the production inkjet process and have a special component to prevent rub off, which means more ink can be used on the paper chosen. The iQuarious Performance Inks enable the VarioPrint i-Series to print on uncoated, inkjet treated, and inkjet coated papers as well as offset and digital coated papers like matte, dull, silk, and gloss stocks. Canon also looks at the technology around the ink, which can help enhance the ink sets. For example, ColorGrip on the Océ VarioPrint i-Series acts as a binder or surface treatment similar to inkjet treated paper to expand media options. ColorGrip helps enhance the image quality on papers not designed for inkjet, giving these papers a print quality rivaling inkjet treated stocks. Additionally, the new printheads, ink sets, and drying mechanisms of the Océ ProStream series allow printing on offset-coated media. This expands inkjet application options into the commercial printing realm. All Canon inks are developed by Océ and tested at one of its media labs. “We do not work with third-party suppliers,” shares Perez-Sierra. This includes specialty and security inks. It offers MICR, UV invisible, and fugitive ink options. Fujifilm’s aqueous-based pigment inks deliver a wide color gamut as evidenced by its Master Elite Idealliance certification. Pierce says it is the only platform able to do this using a four-color process. Additionally, unlike UV ink or toner-based output, Fujifilm’s water-based VIVIDIA inks won’t crack when cut, created, and folded, according to Pierce. He adds that Fujifilm’s VIVIDA water-based inks do not require treated stocks due to the proprietary pre-coat technology on the J Press, enabling the use of standard coated and uncoated offset stocks. Fujifilm engineers and manufactures its own production inkjet inks. HP PageWide Presses use water-based pigment inks and fluids, which HP develops to provide print quality and reliability with its high-performance thermal inkjet technology. The ink is optimized to deliver greater durability—smear and water resistance, light fade resistance, jetting reliability, high black optical density, and a wide color gamut. HP PageWide Inks are supplied in high-yield, 55-gallon drums. These ink containers are hot swappable, meaning they can be replaced while the press is operating. Additionally, HP Bonding Agent enables high print quality on a range of uncoated papers. This agent is digitally jetted by HP’s printheads before printing color inks. It chemically reacts with HP pigment inks to rapidly immobilize pigments at the paper surface. This controls ink spread and penetration for consistent dot gain and optical density, and reduces feathering and strikethrough on lightweight papers, says Murphy. HP PageWide Pigment Inks, along with HP Bonding and Priming Agents, are designed for a range of paper media types without compromising quality. The inks meet worldwide regulatory requirements and to address a range of health and environmental considerations throughout the entire lifecycle of a print—from production to disposal. Murphy says they produce low volatile organic compound emissions, no hazardous air pollutants are intentionally added, and the inks are nonflammable and noncombustible. “These factors are important to meeting regulatory requirements on indoor and outdoor air quality. Pigments in the inks are kept in a stable dispersion and are the colorant of choice for applications requiring the highest level of durability, color saturation, and image permanence,” he shares. HP also offers MICR inks for its PageWide Web Press customers in the banking industry to facilitate check processing. Memjet inks are water-based dye inks customized to work with Memjet printheads. Advanced dye colorants are used to achieve the highest combination of image quality and reliability on a range of plain and inkjet receptive medias without requiring additional drying or curing steps. Ricoh continually works to bring more versatile, high-quality inks to market. Recently, it developed new inks that expand its continuous-feed support to include offset-coated and untreated papers. “Our ink/fluid portfolio includes aqueous pigment and dye inks, MICR, coating fluids, and under-coating fluids,” shares Herold. Ricoh develops its own inks and designs and executes based on customer feedback and customer needs. “Print providers were saying to us, ‘I’d love to offload my offset volumes to inkjet, but is the quality there? Am I going to have to get rid of all my offset coated paper?’ These past few years, we’ve been hard at work making the answer to both of those questions yes. As a result, our latest ink set enables up to 40 percent savings in paper costs, while also expanding media support to offset coated and untreated papers,” says Herold. At the same time adhesion and color match improved with some assistance from drop on demand printhead technology. Screen uses a variety of inks in its production inkjet press line up, including both standard UV inks and low-migration UV inks in its label presses. Its Truepress Jet 520 Series of continuous-feed inkjet presses offer dye and aqueous pigment inks formulated specifically for the papers required in the markets served by the presses. Schlimme says ink formulation is important to produce the characteristics required by various applications—optical density, color gamut, thin films, durability and scratch resistance, and adhesion to different substrates. He says just as important as ink formulation, is experience and expertise in color management, screening, and waveform creation. “Inkjet is very different than conventional offset or flexographic inks. Inkjet inks are primarily water, and water is the enemy of paper,” shares Schlimme. Currently, Screen’s most popular ink for the high-speed production market is Truepress SC Ink. SC Ink is a specialty polymer-based pigment ink specifically designed for high-definition printing to untreated standard coated offset stocks. Currently, Truepress SC Inks are only available for the Truepress 520HD press and provide excellent offset-like image quality, color gamut, density, and adhesion and scratch resistance to commodity grade, readily available standard coated offset papers from popular providers. Screen’s Truepress Jet520NX can run specialty inks, such as invisible ink for security or data and record verification or barcode reading for finishing and converting. Screen also offers MICR ink for check printing on the Truepress Jet520-NX platform. Schlimme says Screen is formulating spot color inks for color gamut expansion for its Truepress 520HD line. The company also continues to refine and develop inkjet formulations to achieve cost efficiencies and performance improvements across all Screen manufactured presses. Screen formulates its own inks and distributes directly to its customers. Specific to labels, Xeikon’s Panther technology is designed to work with its Panther series of presses the PX3000 and PX2000. The inkjet presses use PantherCure UV inks that offer a glossy, tactile finish, and eliminate the need to varnish specific substrates while offering great durability and resistance. “This level of durability for scruff, scratch, chemical, temperature, and sunlight meets the needs for customers in health and beauty, household, chemical, and industrial markets. It helps widen the diverse market for self-adhesive label applications including digitally printed labels, previously produced on UV flexographic or screenprint, where a glossy appearance and tactile look and feel is desired or a durability requirement for respectively the health and beauty and industrial end use. The Panther technology achieved UL certification in combination with FLEXcon films. Xeikon’s inkjet inks are developed in house. The type of ink used in a production inkjet device plays into the color vibrancy and durability of the final output. Water-based pigment and dye inkjet inks are most common for document production and each come with advantages and disadvantages.